Year-round, Skippack Village is bright, cheery, inviting, unique and easily walkable; during the holiday sesason, it shines all the more. 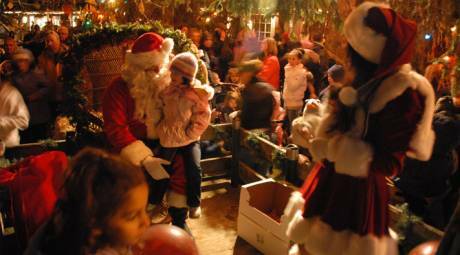 Skippack Village kicks off the holiday season with a ceremonial treelighting from 6 to 7 p.m. on Friday, November 27. Preceding the anticipated "flick of the switch" are performances by carolers and dancers. Special guest is, who else?, Santa himself. Skippack Village is one big slice of eye candy year-round, but in December, it gains a special sparkly overlay. Its walkable paths and sidewalks shimmer with candlelight, guiding visitors from one unique shop to another. 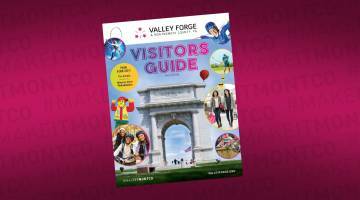 Skippack is known for its boutique retail shops offering some of the finest jewelry, fashion, gifts and gadgets in the area, and all shops and restaurants are locally owned and operated. 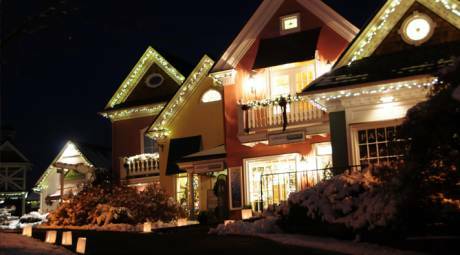 Come stroll through the quaint village, soak in the holiday atmosphere and discover unique gifts to complete your list. 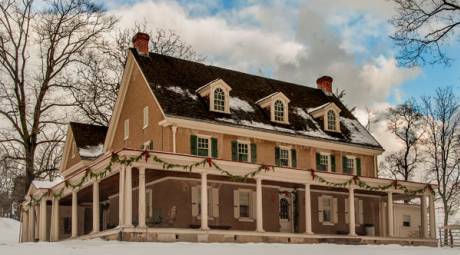 Skippack Village is a center for celebrations during the holiday season, but there are even more nearby holiday happenings that you won't want to miss. From November 24 to January 10, the mansion is at its glittery best. The Victorian Christmas Open House on December 12 includes a bell choir on the porch and the jolly laugh of a Victorian Santa. A tree lighting at the historic home of Frederick Muhlenberg brightens up the evening of December 6. The event includes caroling and a visit from Santa. Donations of non-perishable food, pet food and unwrapped toys are being accepted at the event. December 6 kicks off the holiday season with the annual 5k Jingle Jog. Music, Santa, holiday performers, barbecue and a Christmas bazaar are all on the docket.